Top Writing Day: My top writing day was Wednesday with 3,403 words. What I Worked On: I worked on my NaNoWriMo novel and fanfiction. The Good News: I won NaNoWriMo!!! YEAH! The Bad News: I don’t even want to think about editing my novel. Lesson Learned: I usually take a week long writing break after NaNoWriMo. Usually, by the end of the week, I’m feeling completely uninspired instead of rested. This time, I’m not going to take a break like I usually do. I plan to trying to write 700 words a day and tie up some story ideas that I started and need to finish. My “lesson learned” is kind of ongoing as I try to figure out the best plan for moving forward after finishing NaNoWriMo. This quote comes from Barbara Kingsolver, author of Flight Behavior. I never read over or let anyone else read my rough draft until I’m ready to start editing. That lets me focus in on the story and forget about what someone else will say. I think this quote summarizes that nicely! The rules are similar to the other two awards I’ve accepted this past month. 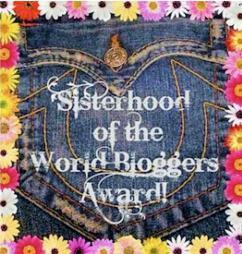 I have to thank the person who gave me the award, post the award picture, answer the ten questions Irisbloom5 asked me, nominate ten fellow bloggers, and ask them ten questions. Let’s get started! 1. What’s the color you associate most with autumn? The color I associate the most with autumn is orange. Autumn is full of bright orange leaves and lots of delicious pumpkin treats that are typically orange. 2: What’s the worst movie you ever saw? I’ve seen some really terrible movies, but the worst movie I ever saw was Goldy 3: The Magic of the Golden Bear. Now, you may ask yourself, with a title like that, why did you watch it? Well, I saw the title while flipping through Netflix, and I knew it was going to be so bad that it would be hilarious. It fully lived up to my expectations! 3: What’s better? Regular Apple Cider or Hot Apple Cider? 4: What book are you reading right now? I just finished Mockingjay, the last book in The Hunger Games series by Suzanne Collins. Once I’ve finally recovered from that emotional rollercoaster of a book, full of heart-breaking scenes, I plan to finish Curse of the Spider King by Wayne Thomas Batson. Yes, there is. I’m not a Christmas music person at all. My dad and I always listen to the 80’s weekend when we drive to my ice skating lessons on Saturday. We’re not happy that they’re taking away our 80’s music for Christmas music. 6: Would you like a question that doesn’t have to do with the time of year or the holidays? 7: What was your first fandom? Fandoms, much better topic! My first fandom was Lord of the Rings/The Hobbit. It was my first fandom that I knew I was a part of. It’s still my main fandom and usually the first one I list when asked what fandoms I’m a part of. 8: What’s your favorite childhood show that you would watch again today? I have, when I am sick, watched Blue’s Clues on occasion. If you mean on a daily, everyday basis, then it would be Fetch! With Ruff Ruffman. 9: Greek Gods or Roman Gods? 10: Did you answer all these questions truthfully? Give and answer that does not include yes or no. I didn’t exactly have ten nominations. Sorry about that! 2. What electronic device do you use to blog? 4. Do you like to do crafts? 5. What are you most excited for during the Christmas season? 6. What are you least excited for during the Christmas season? 7. What is the first food on the Thanksgiving table you want to eat? 8. What are you most looking forward to doing tomorrow? 9. If you could pick a talent for yourself, what talent would you pick? 10. Do you like to draw? Thanks for reading and thanks to Irisbloom5 for the nomination! Top Writing Day: My top writing day was Tuesday with 2,197 words. The Good News: I made my goal every day this week, and I wrote a scene I really love! Lesson Learned: The beginning of my novel went longer than I expected. Now as I near the end of the middle, I’m concerned that I’m running out of plot. I’ve been adding in extra scenes and more details to help expand the story. In doing so, I’m opening up all sorts of new plot threads which is a good thing! So, even though it’s a little nerve wracking thinking I might not have enough story to make it to 50,000 words, it’s also been good because it’s added ideas to my novel that weren’t there before. What’s my biggest fear? Is it heights, clowns, or spiders? During NaNoWriMo nothing is as terrifying as (brace yourself) falling behind on my word count. In order to avoid this frightening experience this year, I’ve been using three techniques to help me keep my word count on track. Word wars are when two or more writers agree on a time (anywhere from 10 to 30 minutes typically) and battle each other to see how many words they can write in that amount of time. Whoever gets the higher amount wins! A little friendly competition really helps me to stay on task and focus on writing. It also helps me write more as I push myself to get the top word count. I’m a very easily distracted writer. A little detail here, a character name there and I’ve wasted an hour on the internet and only written 400 words. That’s why I’ve started timing and rewarding myself. I’ll tell myself to try and write X amount of words in X amount of time, and then I can have a reward, like check my favorite NaNo forum threads, watch a YouTube video, or any other small, fun activity that will motivate me. I’m less distracted because I have both the timer and the reward in mind, and as an added bonus, I’ve found that most times, once I’ve started, I’d rather just keep writing. A lot of Wrimoers (NaNoWriMo participants) tend to write a whole bunch at the beginning of the month, and then write less as the month goes on and end up getting behind in their word count. I prefer to sit down and write my daily NaNo word count (1,667 words) every day. Instead of getting behind in the middle of the month, I’m right on target the entire time. For me, it’s also nice knowing that as long as I write 1,667 words a day, I will win NaNo. That really keeps me motivated and on schedule. What are your methods for keeping your word count on track? Let me know in the comments below! This week’s quote is from one of J.R.R. Tolkien’s letters. Tolkien is a favorite author of mine, and I’m sure most of you know that he wrote The Lord of the Rings and The Hobbit. This quote isn’t so much about writing advice as it is about Tolkien’s own writing style. Most writers I’ve heard of always say they use outlines to plan their story. I, personally, don’t. It was really cool to hear that the great fantasy master himself apparently wrote his epic without knowing exactly what would happen next! Best Blogging Buddy Award 2: This time it’s from Roo! Thanks so much to Roo for the award! I really appreciate it! What’s your favorite color? Any idea why? My favorite color is purple. I’m really not sure why. I just like the color. I like saying the word book, actually. Words that have Ks and Os in them are really fun to say. Hot! I much prefer hot weather than cold. Right now it’s absolutely freezing where I live, and I’m already ready for summer to return. I’m going with Knights. Fantasy is one of my favorite genres, and knights are a big part of that world. I prefer pirates. I loved the first Pirates of the Caribbean movie, and so because of that, I’m choosing pirates. What’s your favorite genre of book? I love dystopian/sci-fi books. I also enjoy fantasy as well. What movie(s) are you looking forward to? The Hobbit: Battle of Five Armies. I’m both excited and heartbroken that we’re at the end of the Tolkien movies. I know the ending is going to make me cry. 😦 Other movies I’m excited for are Big Hero 6, The Hunger Games: Mockingjay, Part 1, and The Avengers: Age of Ultron. Probably the Boxcar Children books. It’s actually funny because Netflix added the animated movie version of the Boxcar Children, and I just saw it a few days ago. I managed to watch the whole thing even though the animation was terrible. It did stick pretty close to the book, though. There are so many, but a definite favorite is The Maze Runner by James Dashner. If you have never read this series, then you are missing out. Not really. I used to love dancing when I was little. I took two years of tap and ballet, but after that, I was all danced-out. I’m a figure skater, and right now I’m trying to correctly land a salchow, which is a type of ice skating jump. 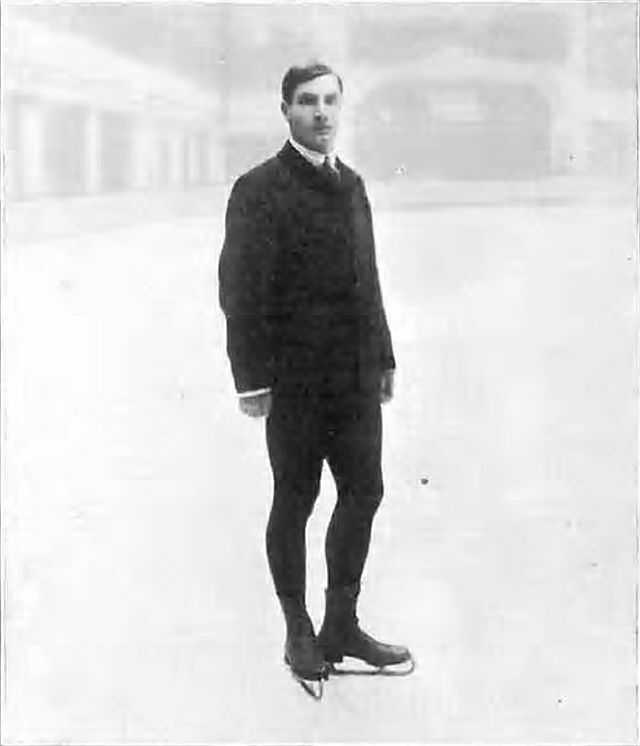 What I’d love to do is find the Doctor, travel back in time in the TARDIS, and find Mr. Ulrich Salchow in the 1900s (inventor of the salchow jump which was named after him) and tell him just how much I hate this frustrating jump. Then I’d ask him to teach me how to land one. Do you like traveling/want to travel? Yes, I want to travel. I’d really love to go to the UK , Ireland, New Zealand, and Japan. I have a lot of countries on my list that I’d love to visit, but those are the top four. Small town. I would love to live in a quirky small town one day. I’m not a big holiday person. I’d probably say Christmas is my favorite holiday, though. It’s kind of funny because I’m usually sick of Christmas music three days into the season. 3. Have you ever won anything? 5. The last movie you cried through? 6. Least favorite letter of the alphabet? 7. Favorite kind of cheese? 8. What is your favorite word and why? 10. Do you listen to movie soundtracks? 11. What is your favorite genre to write? 12. Least favorite time of the year? 13. Do you write freehand or type? 14. What are three items in your purse or wallet or pockets? 15. What food would you not be able to give up? Thanks again to Roo for the nomination! I have just returned from an epic quest! I was searching for an interesting word in the Enchanted Library of Knowledge (AKA Google). I looked through many lists, but nothing jumped out. Then, what luck! There, in front of me, was one of the most interesting words I’d ever seen: pataflafla! What is a pataflafla? Technically, I’m not sure it’s even a word. It’s a descriptive name of a beat used in drumming. There are a lot of drumming websites that explain exactly what a pataflafla is. However, I’m not a musician, so all those technical terms were lost on me. So, to understand what a pataflafla is, I looked up a video of someone actually playing a pataflafla. It sounds pretty cool! Have you ever heard of this word? If so, comment below!